Ebac chairman John Elliott says he’s confident of a strong year despite the shock departure of managing director Pamela Petty and a “difficult” year for the company. 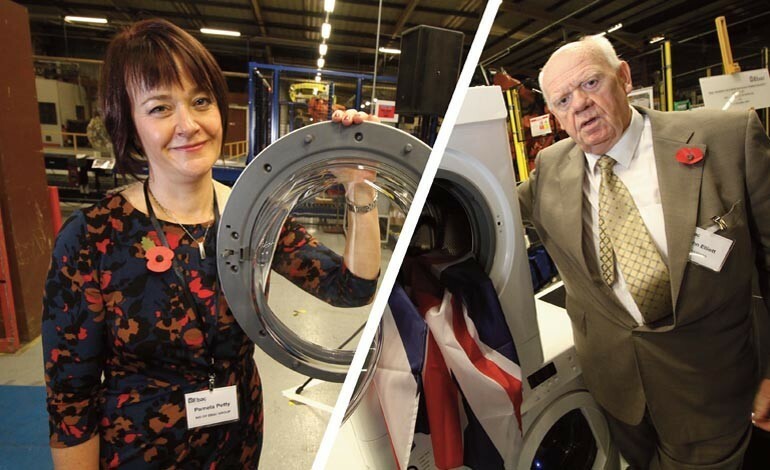 It has been confirmed that Mrs Petty left Aycliffe firm Ebac two months ago – just days after the Duke of Kent visited the factory to launch its washing machine production line. Mr Elliott has also told Aycliffe Today it’s been a difficult year for Ebac after unusually high winter temperatures brought a 50% slump in the sale of dehumidifiers. But he insists he’s as confident as ever the Aycliffe manufacturer will enjoy a strong 2016 with sales of its chest freezers and the launch of washing machines. “Pamela stepped down two months ago, but otherwise there are no changes to our plans,” Mr Elliott told us. “2015 was a difficult year mainly because the record mild winter temperatures knocked dehumidifier sales by more than 50%. “In 30 years it was the mildest winter and our lowest dehumidifier sales. “Despite all of this I’ve never been more upbeat about our medium to long-term outlook. Mr Elliott had taken a step back from the running of Ebac in recent years and handed the reins to his daughter, Mrs Petty. The firm appointed former CBI regional director Dianne Sharp as chief executive last year but she left after a few months into her new role. And Mrs Petty followed her out of the door just a couple of months later. But Mr Elliott said: “Ebac is more than just about one or two people – it’s more than just about me. 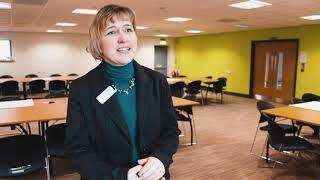 “We have a big team at Ebac, they’ve all worked very hard over the last few years and Pamela was just part of a team. Now Mr Elliott says he’s now concentrating on the launch of Ebac’s washing machine range, which has been delayed further. He told us: “We’ve had another slight delay but this is a 10-year plan, not a one-year plan, so it’s all in the planning and it needs to be absolutely spot on.